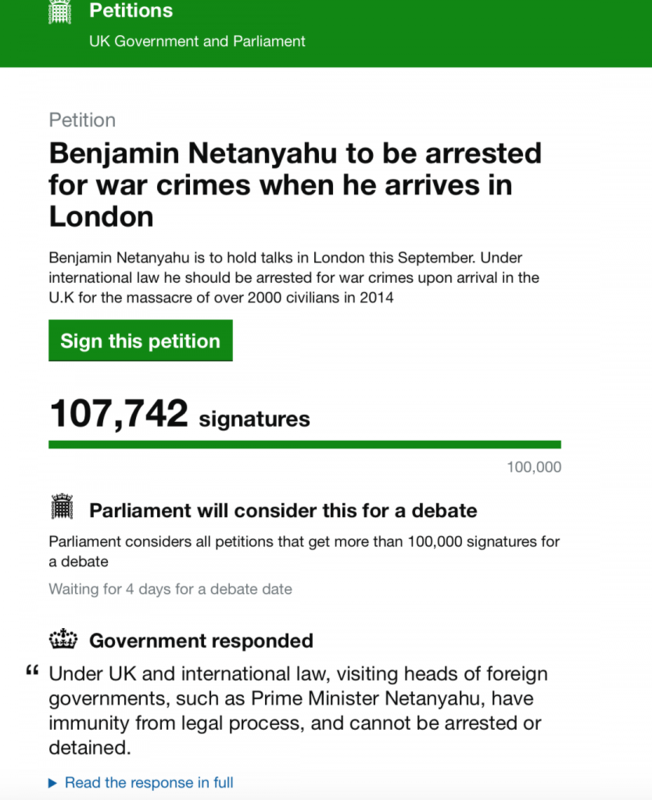 Below is the Response of the Petitions Team of the British parliament concerning the petition, calling for Netanyahu’s arrest, signed by more than 107,000 British citizens and residents. It was sent out at 9.40pm GMT on September 8, 2015. It has all the appearances of a “fast track decision” taken on the 8th of September, one day before the scheduled arrival of Israel’s Prime Minister and War Criminal Benyamin Netanyahu. Was pressure exerted on the petitions team to issue this abridged statement and endorsement of PM Cameron? The petitions team is not only in violation of its mandate, which is to consider the petition for parliamentary debate, it also fails to address the legal issues. 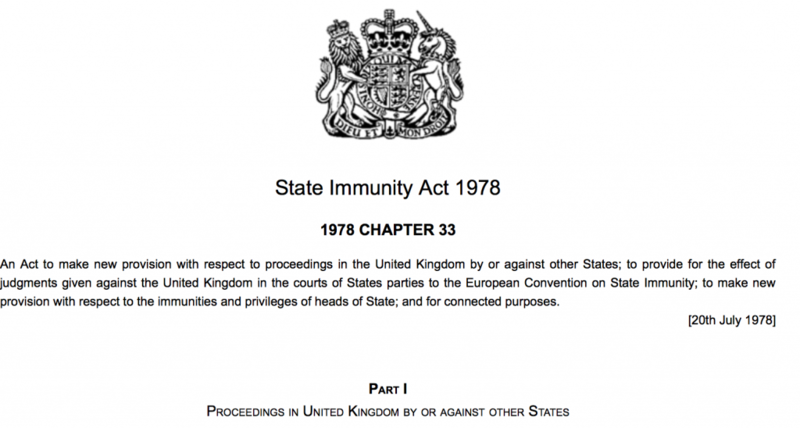 Because the Government said in its response that the request made by the petition was something that it was not able to do under UK and international law, the Committee agreed that it would not take any further action on the petition. We will recall that a warrant for Chile’s dictator Augusto Pinochet was issued in the UK, upon his indictment by Spanish judge Baltasar Garzón in October 1998. 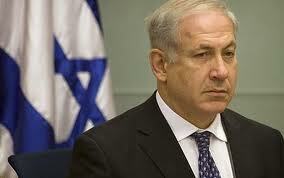 He was arrested in London and was held under house arrest for more than a year. “Pinochet claimed immunity from prosecution as a former head of state under [Britain’s] State Immunity Act 1978.” This was rejected by the House of Lords. Failing the issuing of an arrest warrant Plan B Consists in A Citizens’ arrest. The Committee considered this petition, along with the Government’s response, on Tuesday 8 September. You’re receiving this email because you signed this petition.